Imagine a valley where cross country skiing is its life force and the dominant driver of the economy. Imagine a place with no stoplights for sixty miles in any direction, but night time skies with stars as far as you can see. Imagine waking up in a cabin with 225 kilometers of freshly groomed ski trails out your front door. 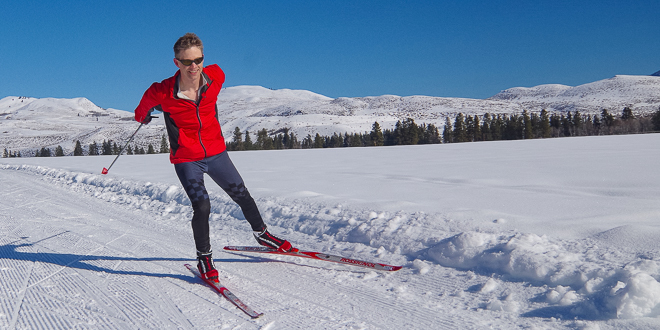 It’s a cross country skier’s nirvana, and it does exist in Washington’s Methow Valley. 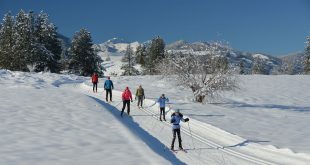 Tucked into the mountains of northern Washington, halfway between Seattle and Spokane, the Methow is uniquely blessed with a number of advantages that residents have harnessed in order to create one of the premier Nordic ski networks in North America. First is the snow that falls reliably each winter. The season isn’t super-long, usually stretching from mid-December to late March, but once it snows and the trails open, they stay reliably snow-covered until spring. 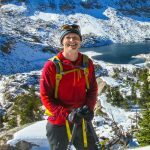 This author has lived in the Methow for sixteen years, and not once has a ski trail closed in the middle of the winter for lack of snow during that time. A second advantage is its low altitude. There are ski areas with dependable snow in other western states, but they are often located at 6,000-9,0000 feet, making locomotion on a pair of cross country skis an oxygen-sucking experience. Lastly, and most importantly, is the vision, dedication, and creativity that the locals bring to the table in creating what is now the largest cross country ski area in North America. It is difficult to describe how vast this groomed trail system is. Most cross country ski areas have a central ski lodge with trails radiating out from it into in various length loops. The Methow Valley has no such lodge, but rather fourteen trailheads that are all linked together with trails groomed for both skate and classic skiing. The interconnected trail system ranges from the town of Winthrop in the east to the hamlet of Mazama in the west and up to the five-star Sun Mountain Lodge in the South and the Rendezvous section of trails and its accompanying backcountry huts in the North. Each trail area has its own personality. 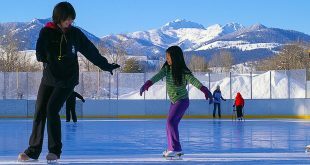 Put them all together, and the Methow has something for everyone, and offers a huge variety for a week-long ski vacation. 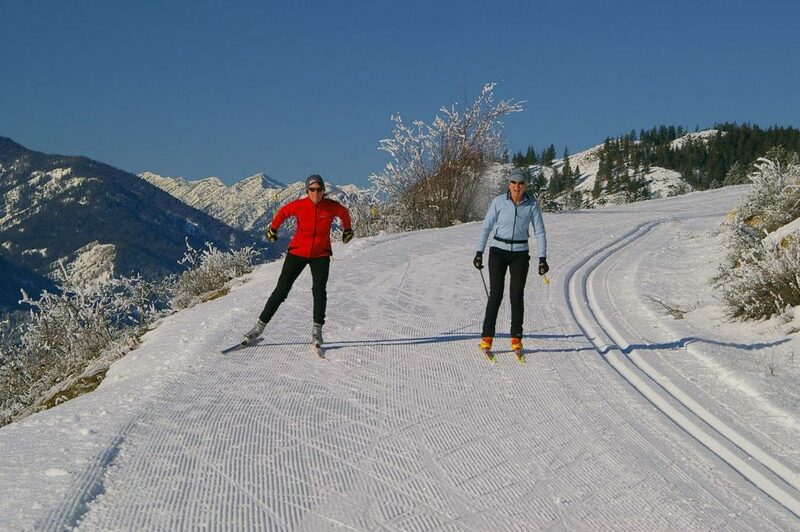 The forty-five kilometers of trails in the Sun Mountain area have the feel of a traditional cross country ski area. A variety of loops head out from a central trail head. There’s a ton of variety up here. There are short loops, flat loops, long climbs and ten kilometer descents. The big difference between this area and most cross country ski areas is that it is linked to three other areas and an additional 180 kilometers of groomed ski trails. The Sun Mountain trails are located ten miles from Winthrop. You can stay in town and drive up to the trailhead, or ski right from Winthrop ten kilometers uphill to the main parking lot. Of course, you could also stay at the Sun Mountain Lodge (If you do, don’t forget the spa treatment when you’re done with your ski). 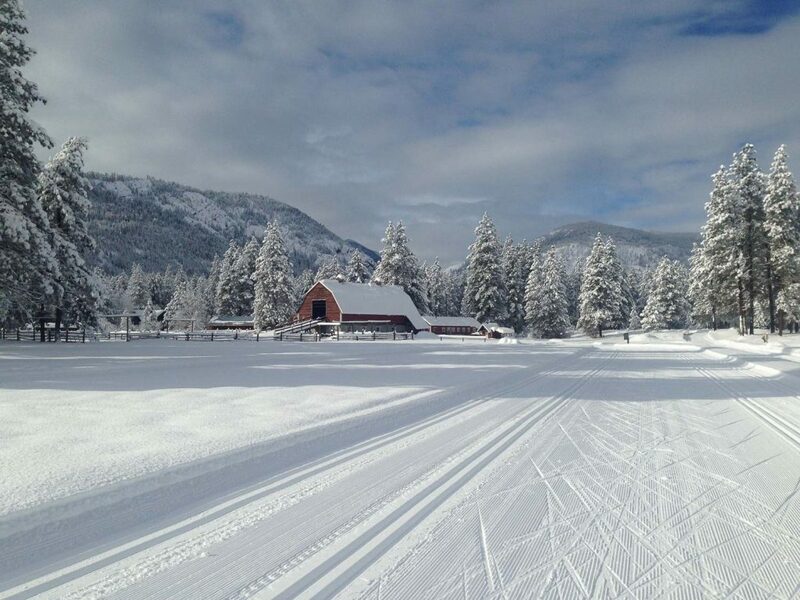 The village of Mazama offers fifty kilometers of ski trails. These trails are quite gentle as they wind through vast meadows and through the ponderosa pine forests. The extensive gentle terrain makes the area a great place to learn how to skate ski. There are a couple of lodging options and a myriad of cabins to rent for the week. The gentle terrain, wide-open views, and multiple loops have turned the trails in Mazama into the valley’s most popular. These trails have a very different character than those in Mazama. They are perched on a hillside with access from three different trailheads, but no matter where you start, it’s all uphill from there. Most of the trails are not steep, but they do indeed climb up for many kilometers. The extensive (60 kilometers) Rendezvous trail system is also unique in that it boasts a system of overnight huts. And in addition to that, many of these trails are dog friendly. Winthrop is the hub of the Methow Valley in winter. It offers the most hotels, cabins, restaurants and ski shops. Sharing a parking lot with the Winthrop Ice Rink, the main Winthrop ski trailhead offers thirty kilometers of trails, most of which are in the open and offer big views. 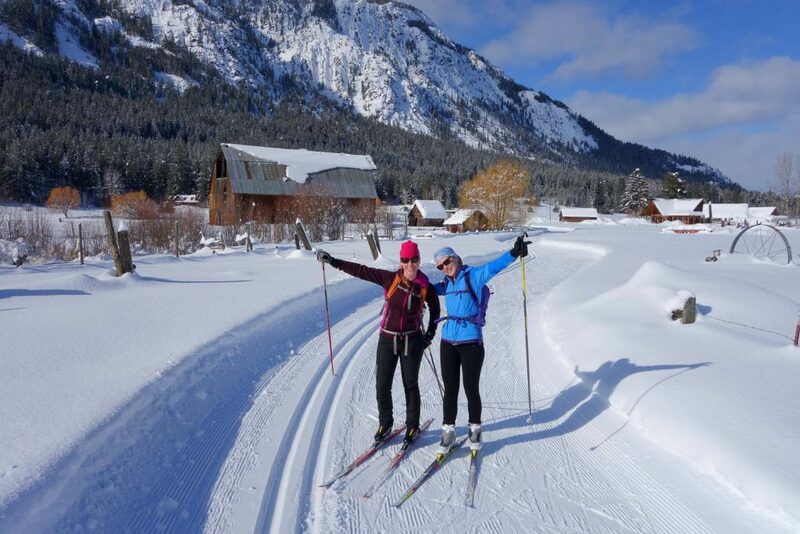 You can head straight out on the pancake-flat Methow Community Trail (see below) for an out and back ski, or turn off that trail onto one the trails that loop back to your car or lodge. Linking Mazama to Winthrop is the Methow Community Trail. It’s a thirty- kilometer, point to point trail that is the flagship of the Methow Trail System. 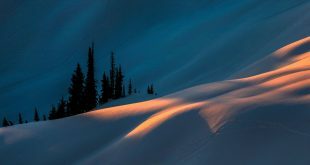 It offers mostly gentle skiing, but with a hilly seven kilometer section between kilometer 12 and 17 if skiing from Mazama to Winthrop. The name given to the Community Trail wasn’t happenstance. This is literally a cross country ski community. When people talk about the upcoming ski season, it goes unsaid that they are talking about the cross country ski season. When you look at the cars parked up and down Main Street, it is cross country skis you’ll see on top of their cars. Every morning the local radio station broadcasts the grooming report and the wax of the day. And the nordic ski team (which has produced three Olympians, and has two other Olympians as coaches) has more kids participating that the football team, boys basketball, girls basketball, and volleyball teams combined! This places eats, breathes, and sleeps cross country skiing. As if reliable snow, low altitude, a vibrant community, and the largest ski trail network in North America weren’t enough, the capstone to this amazing area is the Methow Trails organization. Each night as you are sleeping, its team of groomers head out in five snow-cats to groom the trails to perfection. Yes, five snowcats every single night! Part of the organization’s mission is to offer the best conditions, no matter when you come. If you are here mid-week, or weekend; early-season, mid-season, or late- season, if there is snow, the groomers will be out creating deep tracks and corduroy on nearly every trail. Here’s an insider tip: When it’s time to book your trip to the Methow, add one extra day. It’s a long way from everywhere, which is part of what keeps the place so special. Rent a cabin, ski for days, and go home knowing that in all likelihood there are many, many more kilometers of ski trails that you haven’t yet explored. Brian Sweet, along with his wife, Amy, owns Cascades Outdoor Store in downtown Winthrop. He loves to ski and really loves the Methow Valley.